What, no room for a full size Civil War reenactment in your game room? With these special characters, you can have the same look without inviting a bunch of Civil War reenactors to your house! Good Ground proudly announces the arrival of our special characters line. All these special character sets are now available on the site. Each brings to life characters from the work of well-known Civil War artist while making your battlefield awesome to behold. 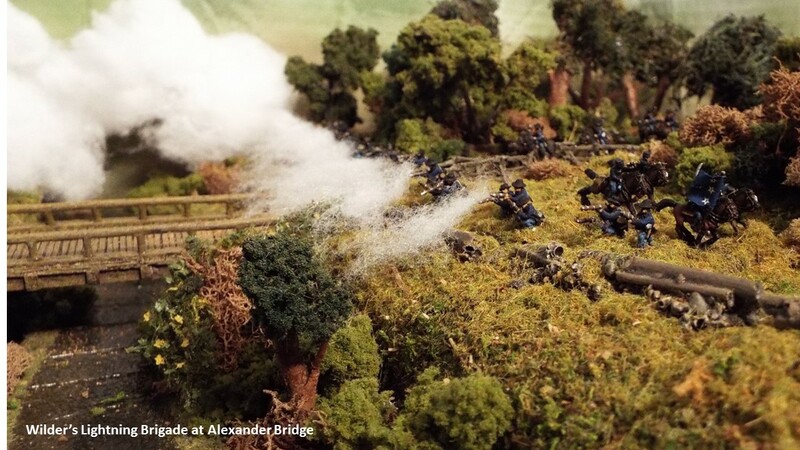 Add the real flavor of the American Civil War to your table, all in glorious 10mm. Good Ground Miniatures is limbering up and heading to the front; that is Southern Front in Raleigh, NC this coming weekend. We will have our entire range of figures from Cracker Line and Plank Road, all of our buildings from Between the Lines and a large supply of B Company Magnetic bases. So march on over to our booth and check out all of our fine miniatures and models. What's the matter, something holding you up? Don't worry, if you can't make Southern Front, we still have our Halloween Special on until October 31. Thats free shipping on any order for over $100.00 USD of merchandise. See Yall at the Front! From now until October 31, get free shipping on all orders over $ 100.00 USD. Don't get caught waiting for the Great Pumpkin to bring you a box of Zouaves. I don't have a distribution deal with the Great Pumpkin! Just go to the site and place your order. If it is for over $ 100.00 USD without postage, I will refund your postage via Paypal and get your 10mm figures in the mail in time for "Tricks or Treat"! The first resin model has come out of the molds for Elkhorn Tavern. We also have a few other items of note which will be available by November. These are pontoons and Mayre's Mill from Fredericksburg. By December the skedaddling figures wlil be available as well. When added to the casualties pack, most Fire & Fury markers will be covered by the line. There are a few more to add, which are in the works. Finally, the Irish Brigade, Berdan's Sharp Shooters, the Yanks with Repeaters and the CS Snipers and Sharpshooters are at Griffin Moulds being cast and readied for sale. 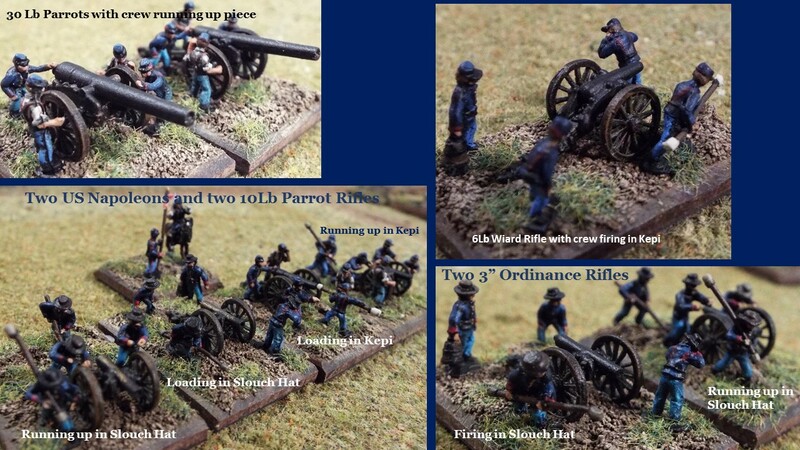 If you want 10mm ACW Miniatures, no other manufacturer has more from which to select than Good Ground. 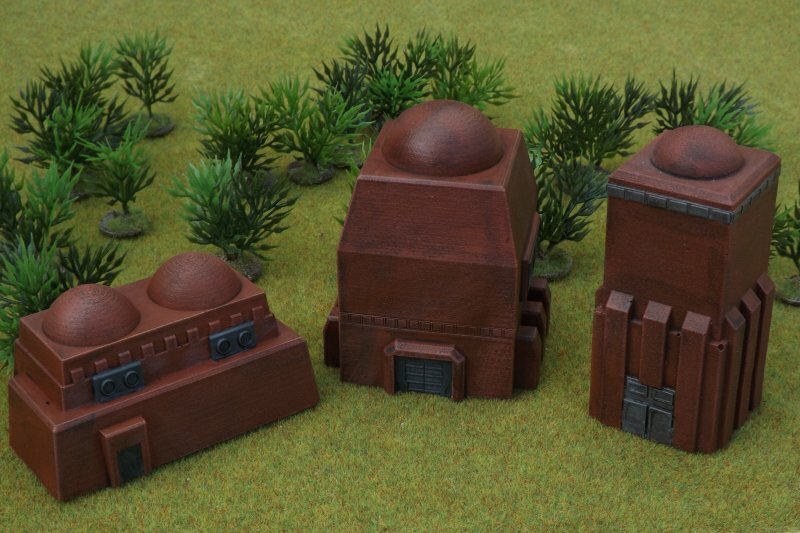 Today we’re releasing three new items in our 10mm SF Buildings range. In this release we have two towers of different designs and a building with twin roof domes. All are single piece resin castings and are available now from the website. We'd also like to remind everyone about the next show we're attending, Blast-Tastic! in Bristol next Saturday. Since this is an SF-themed show, we will not be carrying either the Celtos or Magpie fantasy ranges or the 28mm Great War Belgians. If you’d like anything from these ranges you’ll have to order in advance (either e-mail us or order from the website using the ‘Collect in person’ shipping option). And of course we’re happy to take advance orders for any other ranges as well. More tanks, more robots, more war! LaserStorm is 6mm science fiction on a massive scale. Each troop stand is one vehicle or a 4-6 person fireteam. 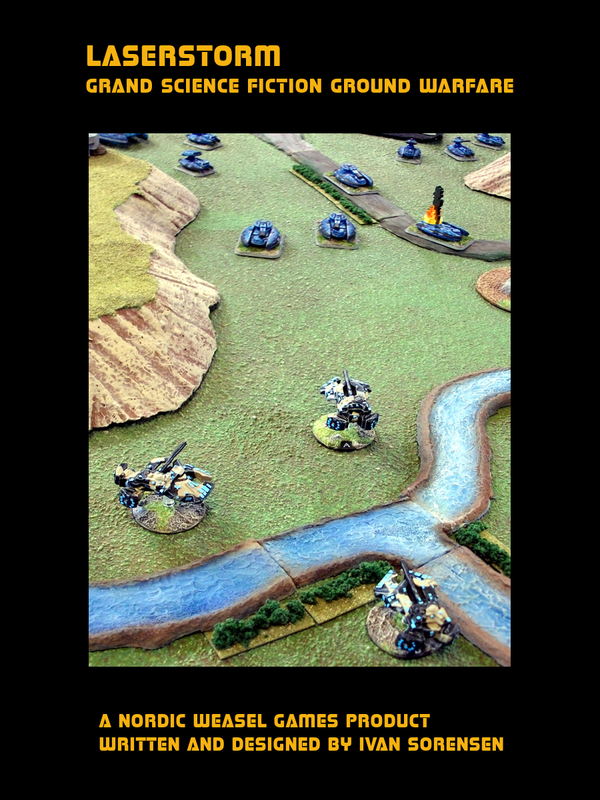 Units are platoons and the game can scale up to an entire battalion on the board, if you have the table space. *Card driven turn sequence, using a very small card deck. *Not a single counter, marker or indicator placed on the table, ever. *No record keeping or tracking for any units, ever. *Combat rules are quick and straight forward. *Units are distinctive in play: Tanks are durable but vulnerable to close assault, super heavy tanks are mobile bunkers and massive behemoths can stride right through a defensive line, crushing and terrifying enemy troops as they go. *Morale system sees units driven off the table and brought back to resume the battle again. You can actually reorganize and redeploy during a game, to open up new fronts or outflank the enemy. *Army commanders provide special deployment and combat options to their troops. *Choose from 25 ready-to-play units, put your own together using a fast "Assembly Line" where you simply match up vehicle hulls and guns or use the points system to build your own troops from scratch. *Unit types that can be built include infantry, tanks, grav vehicles, cavalry, field artillery, giant robots, heroes and many more. *A standard objective-oriented scenario to get to grips with. *Unit traits included to customize and build unique troops, such as scouts. *Fully featured map-driven campaign rules, with troop upgrades. *A small quick-play scenario that should be playable with almost any scifi figures on your shelf. 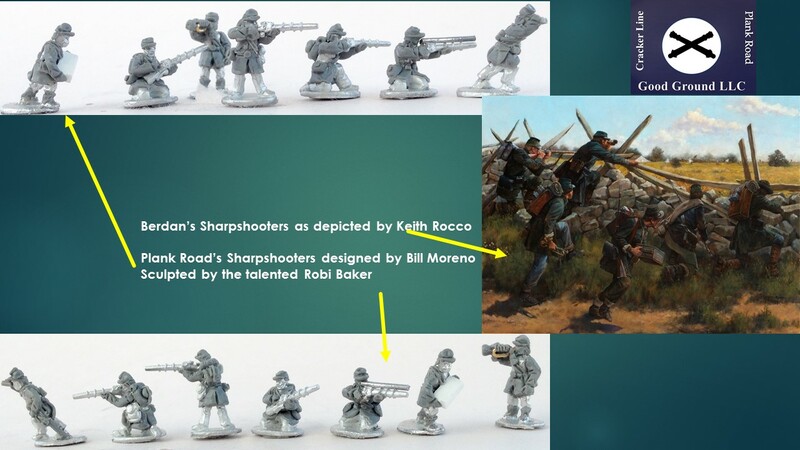 LaserStorm is intended for use with 3mm, 6mm and 10mm figures. All dice used are plain, six-sided dice. No markers or counters are required but a deck of cards is recommended.